The last train to leave Broadway station for Cheltenham departed on 7 March 1960 - the buildings to be demolished soon afterwards. 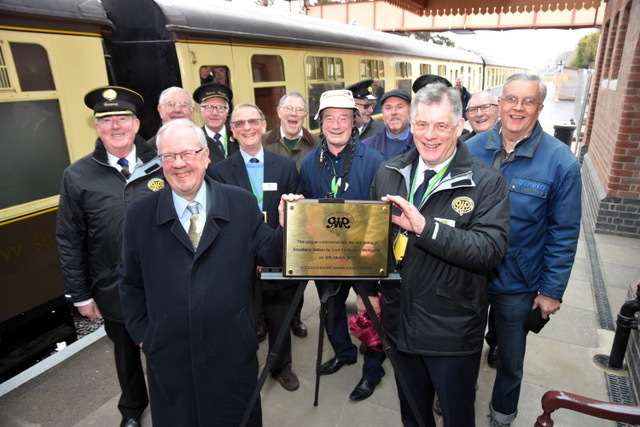 Today, a brand new station, built by the Gloucestershire Warwickshire Steam Railway’s (GWSR) volunteers to much the same design as the original, stands proudly in its place. 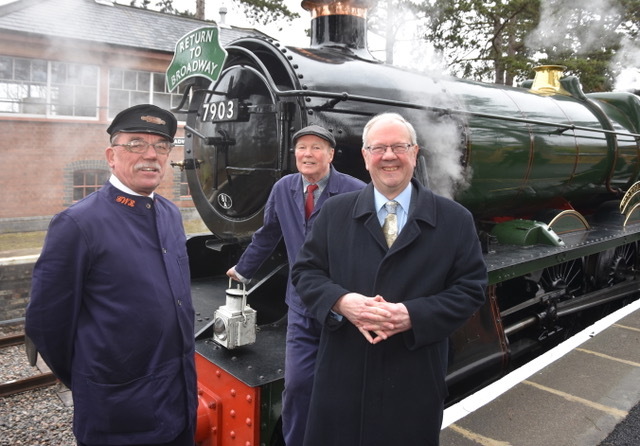 And the first public train left promptly at 09.40, flagging off an intensive train service over the Easter holiday, between Broadway and Cheltenham nearly 15 miles to the south. 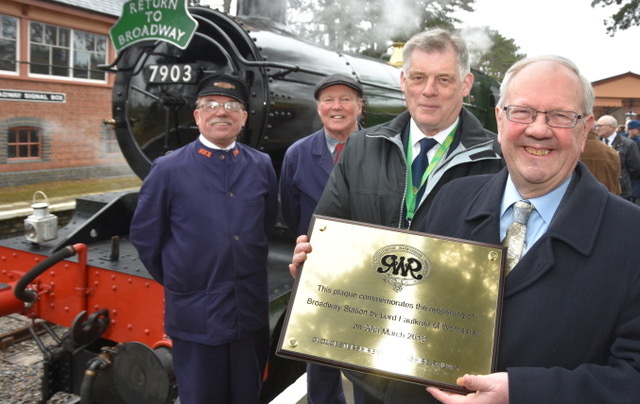 To mark the occasion, Lord Richard Faulkner of Worcester*, chairman of the Heritage Railway Association and a Patron of the GWSR, unveiled a plaque to commemorate the occasion before accompanying driver John Cruxon and fireman Chris Smith on the footplate of locomotive no. 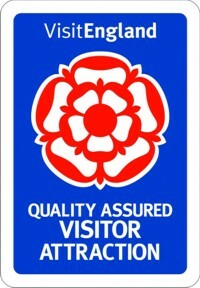 7903 Foremarke Hall for the first departure. 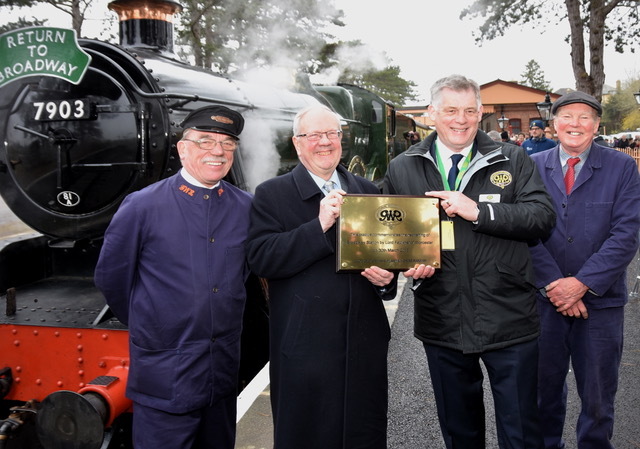 Lord Faulkner described the volunteer effort to restore the former Stratford upon Avon to Cheltenham railway, whose stations were shut in 1960 and the line closed completely in 1976, as ‘astounding’. He pointed out that Broadway station had painstakingly been built on a derelict and abandoned site over the past ten years, entirely using volunteer labour.